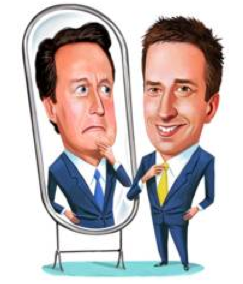 Here’s my latest The Other Side column for ConservativeHome, published here yesterday. My thanks as ever to the site’s editors, Paul Goodman and Mark Wallace, for giving a Lib Dem space to provoke … constructively, I hope. This is my eleventh column for ConservativeHome and I can put the moment off no longer. We need to talk about how important proportional representation is to the Conservative party. It’s important to the Lib Dems, too, but I don’t expect you to care about that. In fact, if there was one small consolation I could take from the overwhelming rejection of electoral reform in the May 2011 referendum, it was the thought that at least my party would now have to stop banging on about an issue on which the public suspects us of being self-interested and self-obsessed. Our next election manifesto will instead need to focus squarely on doorstep issues like tax, public services and the cost of living rather than appealing to those few people, like me, who think constitutional reform matters. And, ironically, while first-past-the-post has historically discriminated against the Lib Dems’ evenly spread vote, it will be our ability to grip tightly to the 57 seats we hold that will very probably protect my party from suffering the kind of setback in 2015 that would happen under PR. But enough about us: I want to talk about you. I’m going to take a couple of guesses about what you want (well, maybe not the Ukippers among you, but the rest of you). First, you want Conservative-inclined voters to vote Conservative. And secondly, you want the Conservatives to win a majority at the next election so you can wreak devastation on the nation implement your party’s policies. Fair enough. But there’s a problem. The chances of you being able to achieve these things are getting smaller and smaller under the current system – and not all the blame can be laid at the door of David Cameron. For a start, there’s an inexorable fragmenting of party loyalties. In 1951, 97% of voters plumped either for the Conservatives or Labour. By 2010, this had plunged to 65%. And in this year’s local elections, only 54% voted for the two main parties. Perhaps the optimists among you are convinced you can turn back the tide of history, that you can persuade the public to return to some golden binary age of Blue/Red duopoly. Maybe you’ll be proven right. But I don’t think you will be. I think in this consumer-driven age of choice and diversity two-party politics is, effectively, dead; multi-party politics is the new normal. But it’s not just the grand sweep of history you’re up against – it’s also the hangover of Thatcherism and the regional polarisation of political loyalties. The Conservatives now find it tough to win in the North, just as Labour does in the South. As a result, there are fewer marginal constituencies and this increases the national swing needed for the Conservatives (or Labour) to win an outright majority. The party has been all but driven out of local government in the north of England, despite there being potential for considerable Conservative support in many areas. This makes the electoral maths infinitely more difficult when it comes to Westminster. Councillors equate to activists, which equate to further Conservative support and the chance to win back seats. A more proportional voting system at the local level would improve Conservative representation in the north of England, and other areas where the party is weak. It would mean more people across the country hearing the Conservative message, becoming party activists and turning out to vote – both locally and nationally. The authors show that Tory support in the North is actually reasonably strong. Without PR it just doesn’t look or feel that way. For example in 2010 in Sheffield the Tories had no seats at all on the council. Under PR they would have had 12 out of 84. The Conservatives won 25 per cent of the vote in Tameside in 2012, yet held just five out of 57 seats. With PR they would have secured 14. And so on. … As the Conservatives become less visible on the ground, rival parties become the main opposition. In some areas the Liberal Democrats, always opportunistic, have become the new party of working-class Toryism. Elsewhere Ukip are starting to do the same. … It would be terrible were the Conservatives to collapse into a political party which speaks only for southern England and parts of the Midlands. Reading this report has persuaded me that proportional representation in local elections may be part of the answer. All my active campaigning for the Lib Dems took place in Oxford, where the Conservatives have won only one council seat since 1996 (and that was a freak result on the back of a local planning controversy) despite winning roughly 1-in-5 of the votes cast in the city at each local election. When I splashed a Lib Dem bar-chart on Focus leaflets with the banner ‘The Tories can’t win here’ to squeeze their vote down I wasn’t exaggerating. But I was just a little bit ashamed. After all, what kind of electoral system forces citizens to choose a party other than the one they support in order to avoid wasting their vote? I don’t pretend proportional representation for local government is a panacea for the Conservatives. It clearly has risks. Just as it will give you representation in the North it will also allow Labour back in the South. The Lib Dems may suffer in some of our council strongholds – for instance, Eastleigh – but will gain footholds in new areas for us. And if the Ukip bandwagon continues to roll, they will begin to establish themselves across the country as well.